Oricon's daily ranking results are out!! 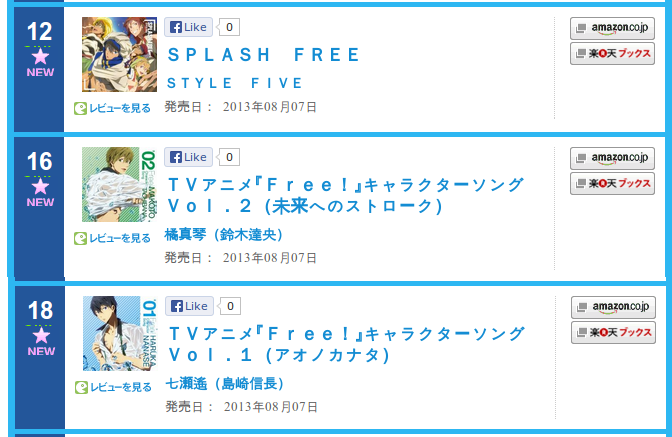 Splash Free - #12, Mako's single - #16 and Haru's single - #18. Guess Ta_2's more popular huh.